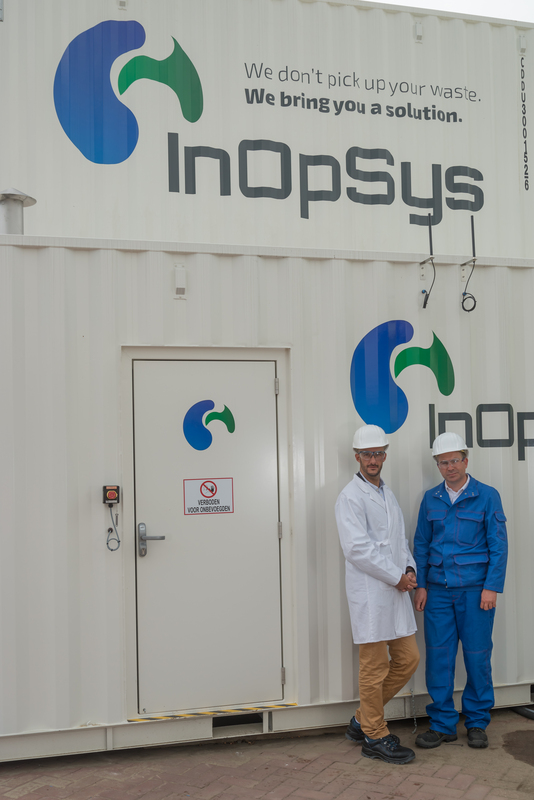 InOpSys, with the help of VITO, has developed a mobile water purification system that removes and recovers the toxic components. Many residual and wastewater streams from chemical and pharmaceutical companies are not suitable for biological water treatment. The toxic components kill the bacteria needed for the water purification process. InOpSys came up with the idea of pre-treating toxic wastewater: the disruptive components are removed from the water and recovered. “Unique to our system is the fact that we offer a total concept,” says Steven De Laet, one of the founders of InOpSys. “Using flexible, modular and mobile units, we build a sustainable solution on the grounds of the customer. The units can be assembled on site with the precise techniques needed to purify the specific waste streams."